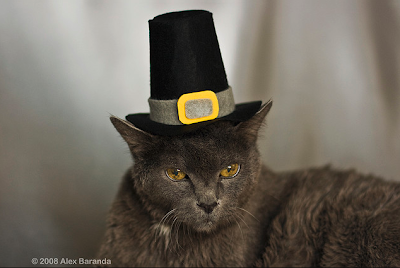 The turkey's in the oven, the cranberry sauce is out of the can, and these cats in their little hats are ready to celebrate with a purrfect Thanksgiving feast! 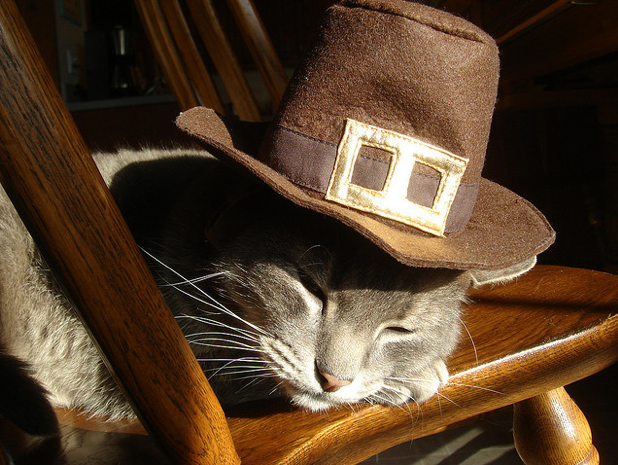 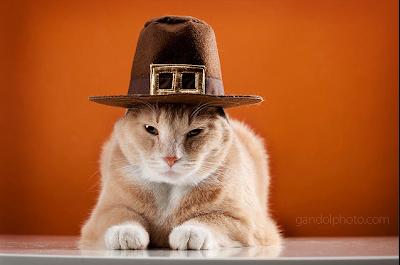 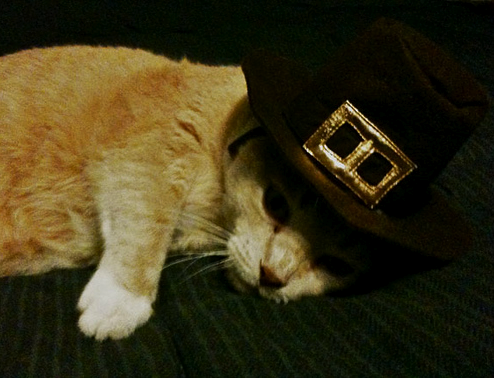 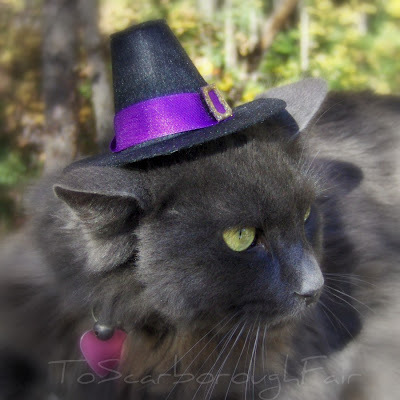 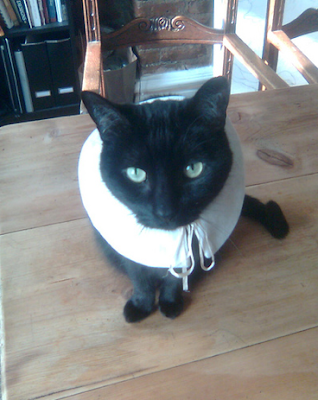 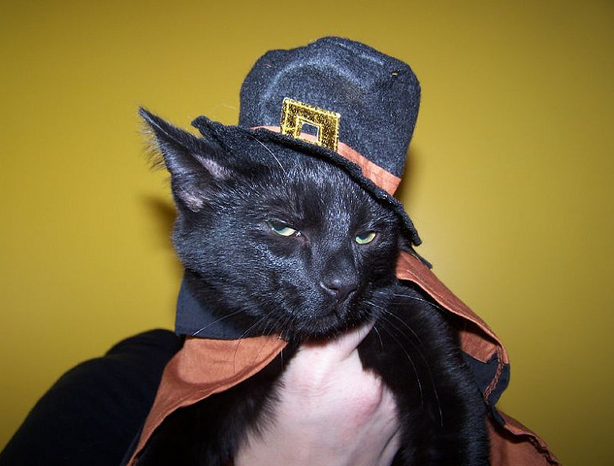 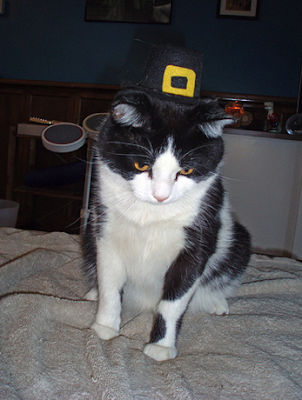 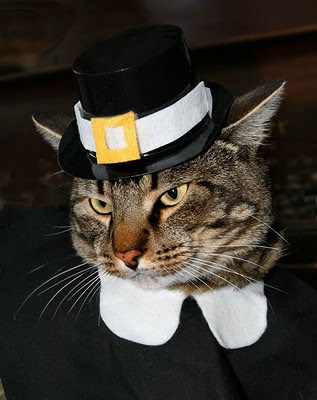 my Thanksgiving post (coming this Thursday) just might look familiar to you....MOL! 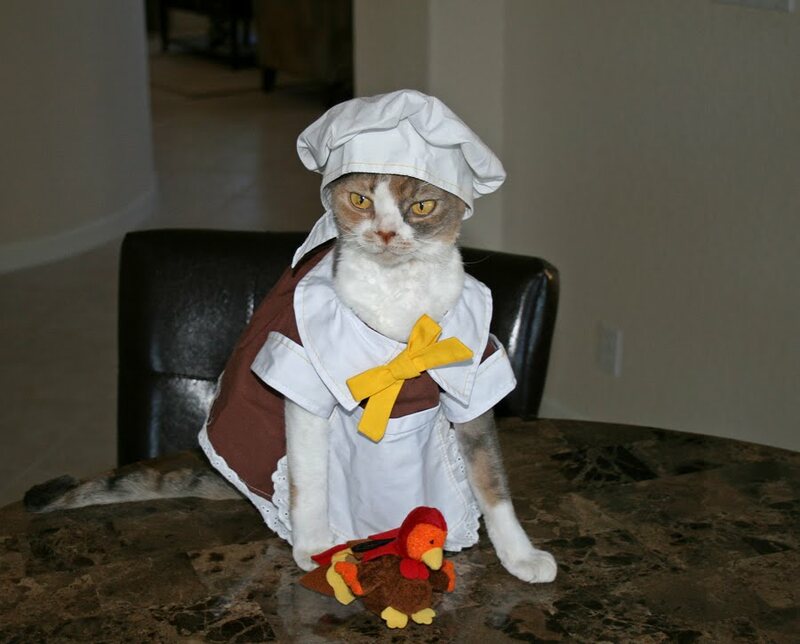 This is my best Thanksgiving suit, but I might look a little more like a waitress in a diner than a pilgrim!